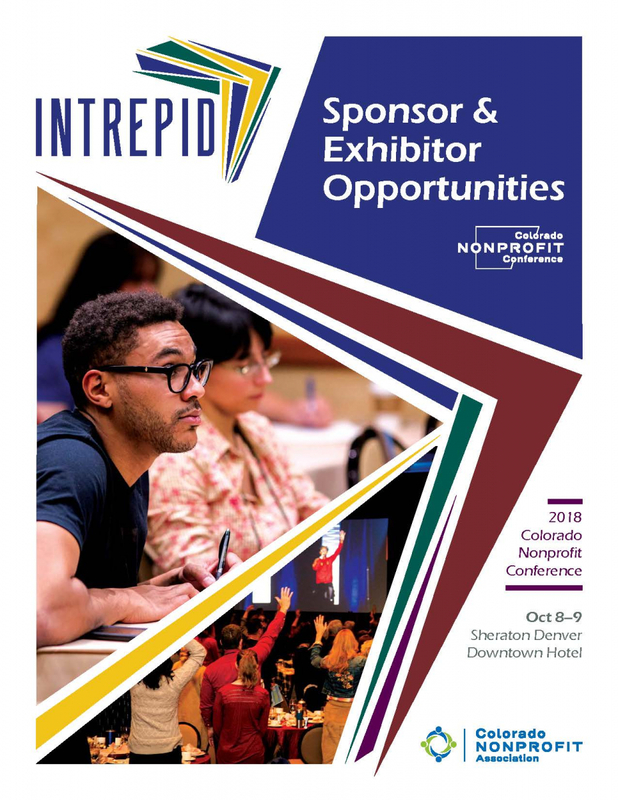 Attracting a large audience of nonprofit professionals and people of influence, the Colorado Nonprofit Conference offers opportunities for widespread brand visibility, networking and a connection to the nonprofit community as a whole. Download information on how you can get involved today! To learn about sponsorship opportunities for this event, contact Development Associate, Lindsay Newman at lnewman@ColoradoNonprofits.org. Exhibitor Booths are now available to the public for purchase. Exhbitor pricing is available in this booklet. The Colorado Nonprofit Conference exhibit hall is the bustling connection point where attendees flow from session to session. More importantly, it is a networking center where conference attendees meet each other and where they meet you. Reserve a booth in the exhibit hall to showcase your products or services and your commitment to Colorado’s nonprofit community. To learn about exhibitor opportunities for this event, contact Director of Membership, Gerry Rasel at grasel@colroadononprofits.org.